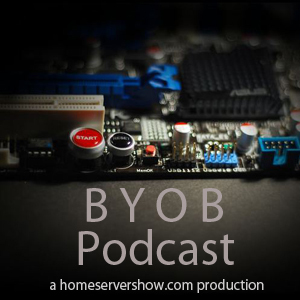 I'm honored to have been invited back, for my second appearance on the BYOB (Build Your Own Box) podcast. This time, we talked pretty extensively about gaming and virtualization, using the Core i7/Z68 platform. Really nice of pcdoc, aka Mike Faucher, of "The Full Fo-Shay" fame, to invite me back! And also glad to hear he's made tremendous progress building his own similar virtualization box since recording this podcast. Mike took what we chatted about for 1 hour 45 minutes, and RAN with it, building his own similar virtualization rig within hours of recording this podcast. Yep, he dove right into the deep end. Find the shownotes, or grab the podcast itself, at BYOB Episode 70, where you can also type up your comments. Alternatively, you can use the comments section below as well.